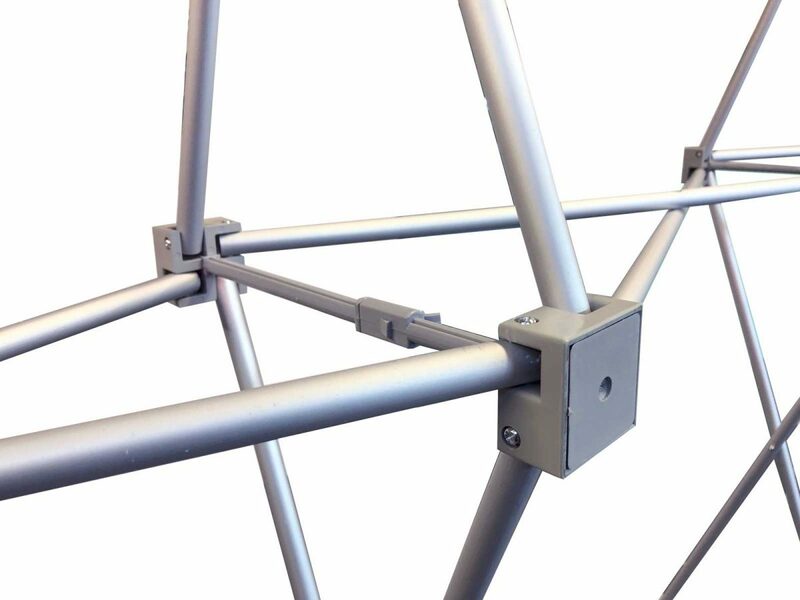 The totally unique Fabric Backdrop Stand instantly provides a tensioned frame for the included superbly printed fabric. The system can be folded along with the crease-free graphic. 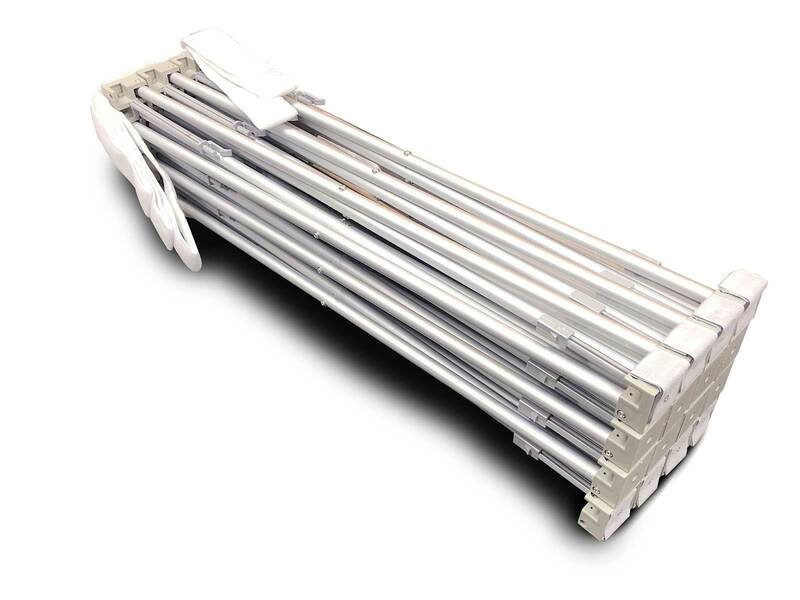 Ideal for Exhibitions, Point of Sale Displays, Press Backdrops, Step and Repeat Backdrops and Stage Banners. Standard turnaround is 5-6 working days from receipt of order, print-ready artwork and cleared payment. 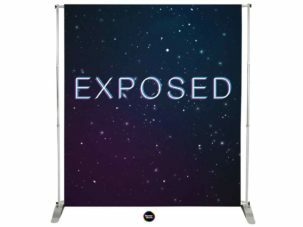 The totally unique Pop-Up Fabric Backdrop Stand instantly provides a portable tensioned pop-up frame for the included fabric print. The system can be folded along with the crease-free graphic. 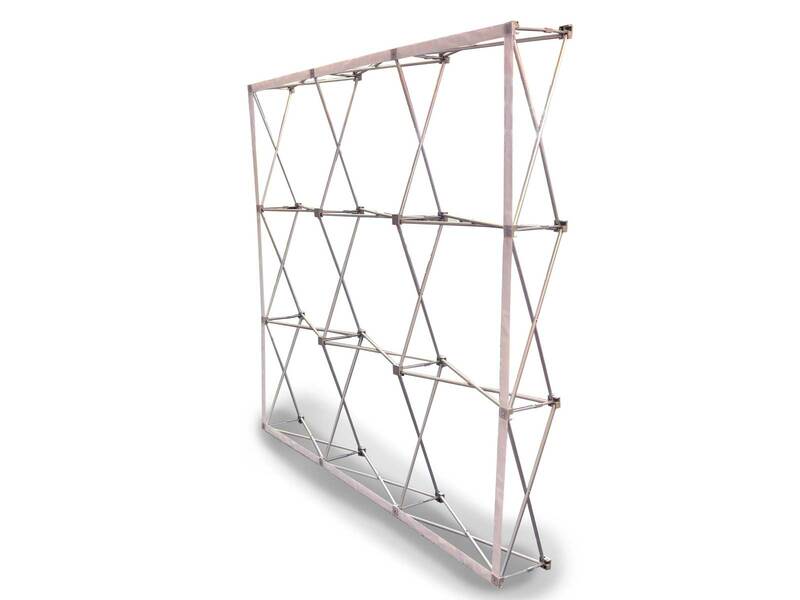 Ideal for Exhibitions, Point of Sale Displays, Press Backdrops, Awards Backdrops, Step and Repeat Backdrops, Background for Youtube, Wedding Backdrop Stands, Video Backdrops and Stage Banners. Pop these up in any indoor environment. Replacement graphics are always available and are easily interchangeable. 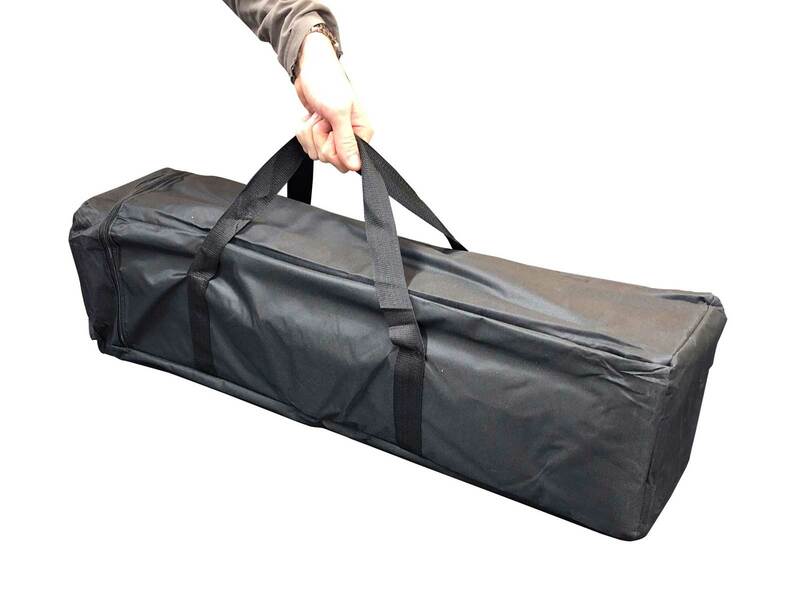 This product includes the collapsible heavy duty pop-up frame, the fabric graphic and a strong carry bag which everything packs up into. These are far more popular now than traditional pop-ups with printed magnetic panels. 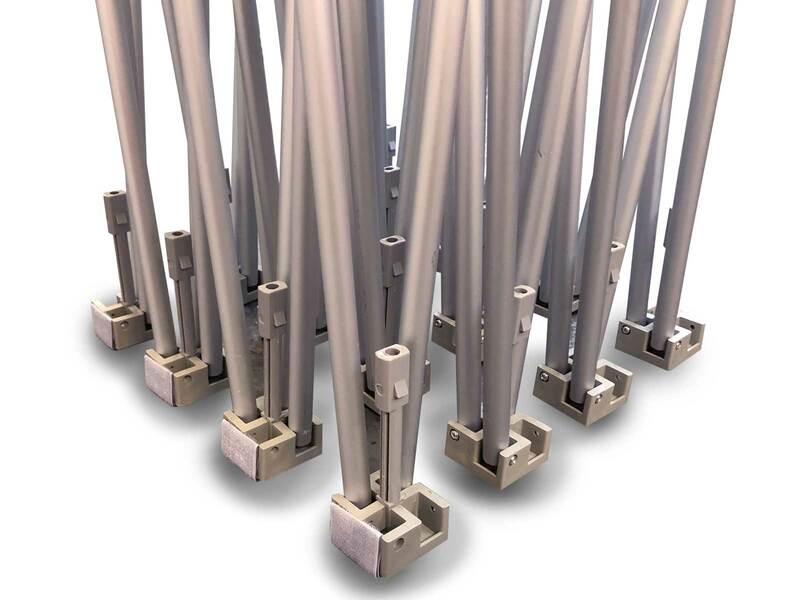 They are much more cost-effective and look far better. All 3 sizes stand at 2.26m high, with a depth of 30cm. 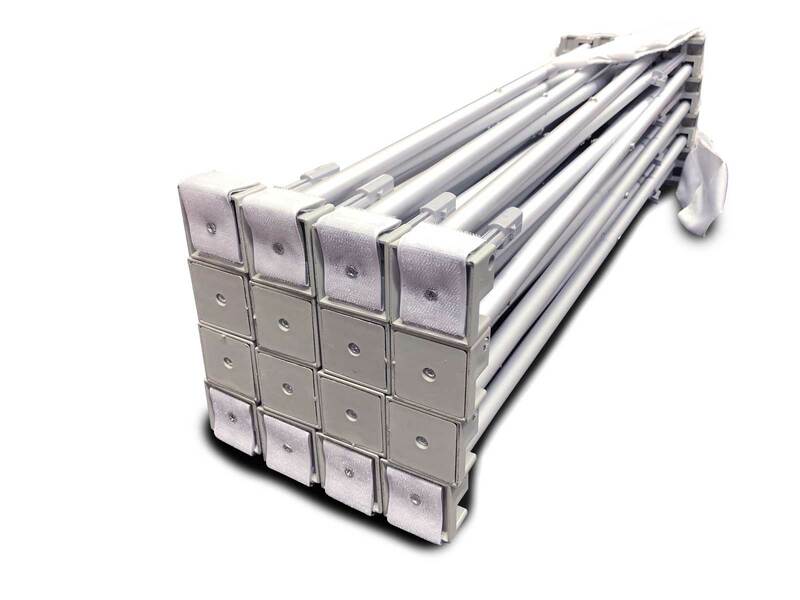 Choose from lengths of 2.26m, 3m or 3.74m. 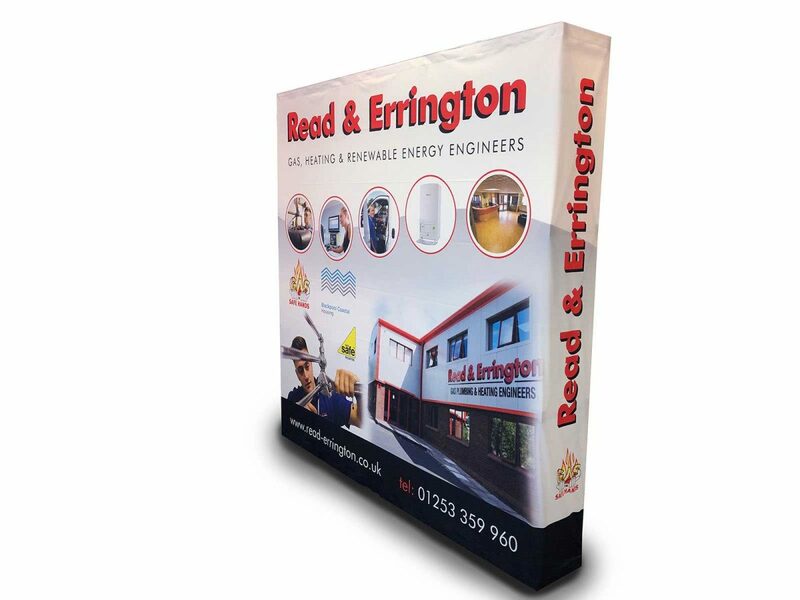 Our fabric for pop-up display stands is a high-quality 210gsm polyester, printed using high-resolution dye-sublimation technology. This print method produces eye-popping vibrancy and rich colours, sure to grab attention in any environment. The fabric is easily removed from the stand and can be machine washed at 30 degrees if needed. The crease-free polyester fabric is dye-sublimation printed which offers a vibrant photographic quality. Fabric panels can be replaced to order. 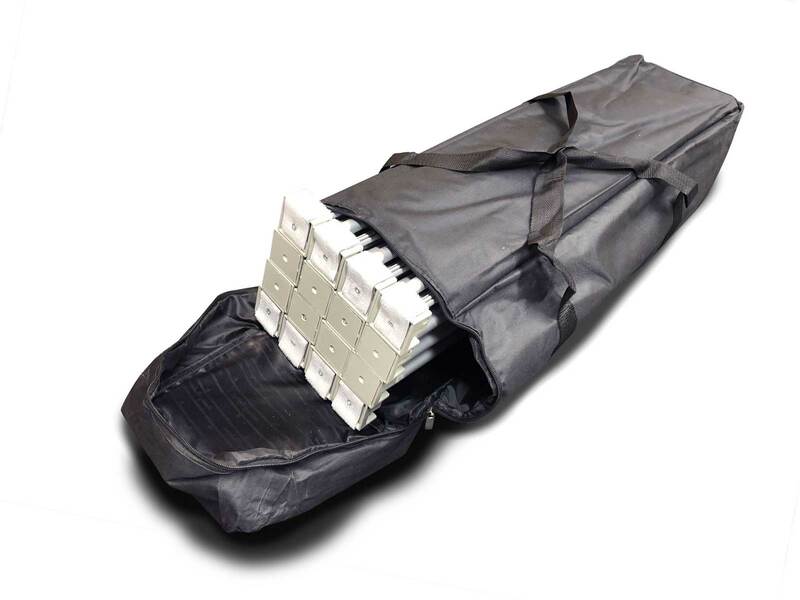 Each unit packs away neatly and even the XL only weighs in at 16.5kg, the package size being just 900 x 350 x 500mm. Ideal as press and interview backdrops, the fabric is glare-free so can be used under lights and with flash photography. You can order additional fabric graphics with your stand or at any time. Graphics are easy to remove and replace and you can use each graphic over and over again. 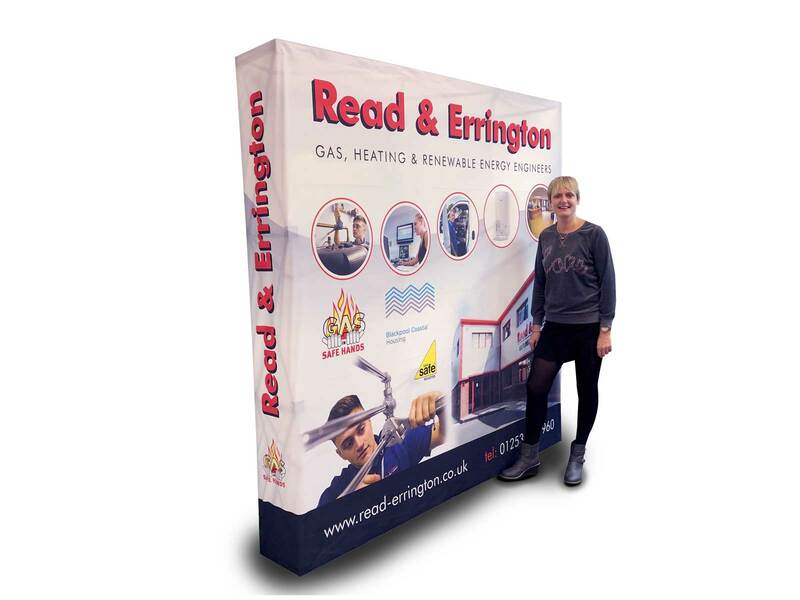 Fabric pop-up display stands are ideal for live bands and performers as some venues do not have the facility to hang a normal band or stage backdrop. 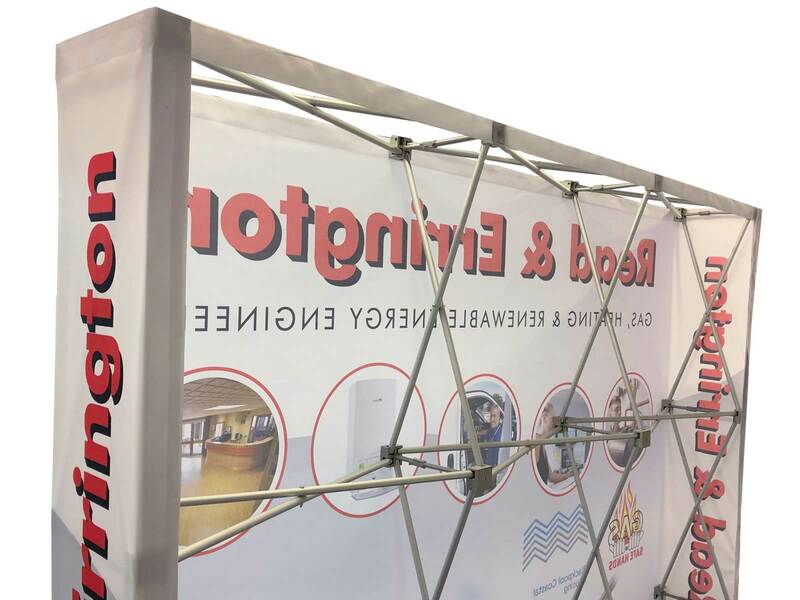 Easy to transport and easy to set up, these pop-up display stands are perfect for exhibitions, conferences, pop-up stalls and presentations. Ideal as interview and press backdrops, step-and-repeat backdrops and more. Consider an additional solid green fabric for use as a video green screen. We have supplied many of these to Youtubers, who often order them with several backdrops and interchange as they need. 210gsm knitted polyester fabric, seamless, attached to frame on 3 sides. How easy is it to put up? Very easy. One person can set this product up within a couple of minutes. Easy to pack away too. We include the pop-up frame, fabric printed graphic and carry bag. Can I change the graphic? Yes. Additional graphics can be ordered at any time and are quick to remove and replace.